When it comes to the style of fine dining, and wining, the French has elevated it to the level of an art. If you want to undertake a journey of the typical French experience, you must take a trip to the heaven of all marvels called Paris. The bar and club scene are one of the best all over the world. Housing some of the most unique and exclusive bars, Paris is visited by connoisseurs who want to taste the tantalizingly amazing range of spirits available here. Great bars are practically scattered across the city and you will have the opportunity to explore whichever fits your bill. The best Paris bars greet their global guests with open arms and finest liquors. The region of Left bank retains its characteristic atmosphere of sophistication with several of world’s most expensive bars located there. However, if you are an inquisitive traveler eager to find out the gems hidden in the smaller and anonymous streets of a city, Paris is your best haunt. Exquisitely beautiful and quaint shops and bars in the lanes of Paris will offer you a close look into the finest and appealing culture of the Parisians. The following guide will give you a fair idea about the biggest and best Paris bars, cocktail lounges, and clubs that will make sure your stay at the capital of France continue to be a spirited one! 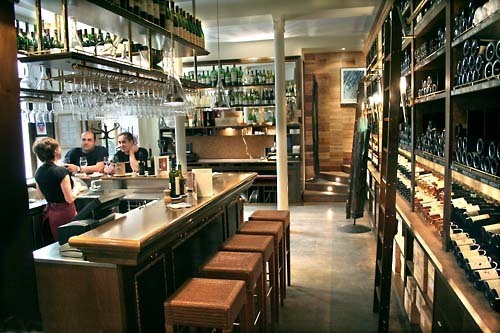 In the heartland of Paris, you will find superb bars serving Irish, German, as well as Belgian spirits. UDO Bar offers minimal soundtrack of electro, laid back environment, curry wurst, and definitely some finest imported beers. The Bouillon Belge, just like its name suggests, sells simply the best and divine collection of Belgian beverages. The assortment is simply amazing as it includes all types of tastes like brown, amber, blond, strong, light, dry, and fruity from the best and most popular international brands. Connolly’s Corner is among the three oldest pubs in Paris and serves the best Guinness in the city along with numerous first-rate whiskies. But if none of these is your cup of tea, rather liquor, head for the excellent wine bars in the town. The new and young chefs are coming up with their signature innovative wine bars which also offer exceptional food. No wonder, these wine bars have roaring fame among the pub goers of the town. All you need to do is make a journey to this euphoric city of Paris. This entry was posted in Basic Travel Tips for Travelers to Paris and tagged Best Paris Bars. Bookmark the permalink.